It’s getting closer to Christmas shopping time so we are excited to introduce you all to a new, luxury pet brand Rokabone. Their website has just been launched in October! 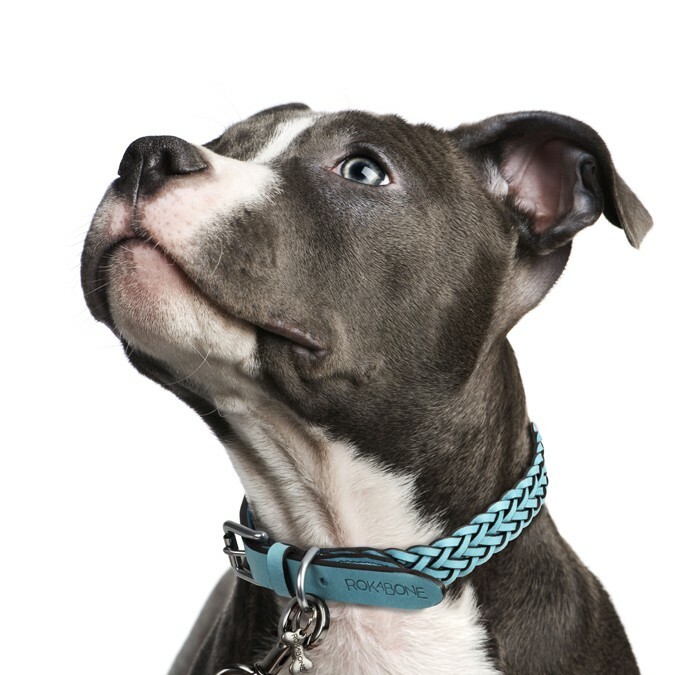 Rokabone products range from fashion-forward dog collars, pet collar charms and pet beds to other lifestyle products. Lush! Rokabone collars are handcrafted and designed in the UK. They use traditional saddlery techniques to create their unique collars, incorporating luxurious, full-grain Italian leather, the finest brass fittings and outstanding craftsmanship. Rokabone’s beautiful collars are fashioned in elegant twist, herringbone or snake braids in a rainbow of colours – pillar box red, aqua blue, tangerine, hot pink, luscious lime and naturally classic tan and black – the distinctive choice for traditional hounds. The range also includes super comfortable and modern dog beds that would fit in any contemporary style home decor. Rokabone was founded by Melanie Hopper. She was inspired by her dog, Oscar ‘Wilde’, to design and create high quality and distinctive style collars that are suitable for everyday use. We think it’s the combination of style and functionality that will make you love Rokabone as much as we do! Our favourite is definitely the Lucky hot pink and aqua leather dog collars. The colour just “pops”! Love! Visit Rokabone to see the full range.